Chennai: Chennai Metro Rail Limited, has called for tenders to build elevated viaducts for standard gauge twin tracks for a 6 kilometer stretch, that would connect a part of North Chennai. A part of the phase-1 of the metro project, the route will have 6 elevated stations. CMRL has split the 6 stations into 2 groups for the work and has invited 2 tenders for each group. Tondiarpet, Toll Gate & Thangal are grouped together, while Gowri Ashram, Tiruvottiyur & Wimco Nagar will form the other group. The extension project, aimed at connecting far flung areas of North Chennai with the rest of the city, is planned for completion by 2019. Out of the 9 kilometer line, trains will run underground in a 3 kilometer stretch between Washermenpet – Korukkupet. It will be an elevated line for the rest 6 kilometer between Toll Gate and Wimco Nagar. The company that takes up the work will have to build the elevated viaduct, stations including plumbing & roofing, according to officials. The company should also put up signage design for temporary works like scaffolding, staging, traffic diversion, utility shifting & associated work, during construction. In November 2016, Chennai Metro floated tenders for construction of a part of the elevated stretch in North Chennai at Toll Gate & Wimco Nagar. It included building of columns & pile caps that will hold the elevated viaduct for a stretch of about 3 kilometer near Toll Gate & Wimco nagar. 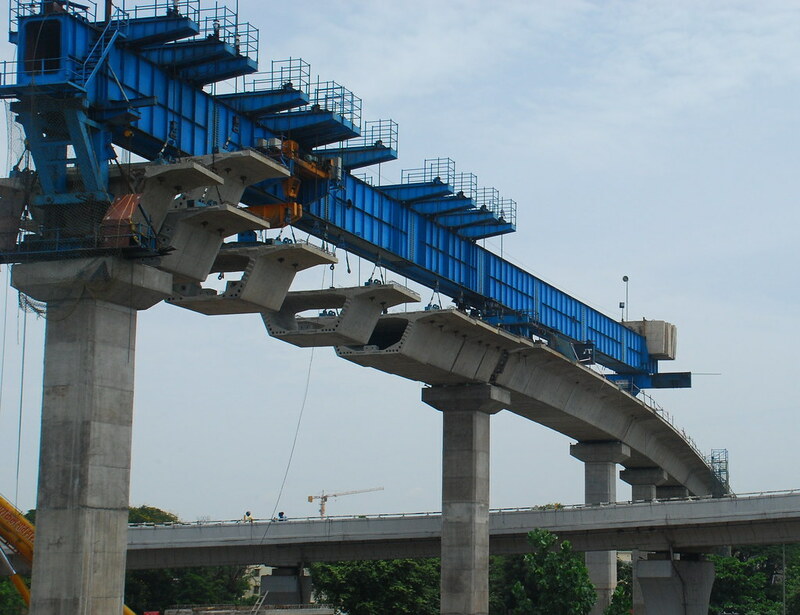 The line alignment plans & locations of the piers were provided by Chennai Metro. As the viaduct for the elevated corridor would be wider than the busy stretches of North Chennai, its construction may require cutting in to the frontage of houses & shops, officials said. Construction of underground tunnels and 3 stations are underway. They will complete tunnelling along the 3 kilometer stretch by September this year, Metro officials said. The phase-1 extension project, which was approved by the Central government last year, is being built at an estimated cost of Rs 3,770 crores (approx US$ 589.06 Million).